By virtue of resemblance in the clinical presentation of histoplasmosis, it is likely that asbestos-related lung disorders such as pleural mesothelioma, asbestosis, and lung cancer could be misdiagnosed as histoplasmosis. This leads to delayed diagnosis and reduced treatment options. If you or your loved one has received a diagnosis of histoplasmosis, have had significant asbestos exposure in the past, and have asbestos fibers present in your lungs see whether you are eligible for compensation. Environmental Litigation Group can take your case only if added to a histoplasmosis diagnosis you receive a subsequent medical evaluation and the chest X-ray screening shows scarring, damage or asbestos fibers in your lungs. In the United States, histoplasmosis is predominant in the Missouri, Ohio and Mississippi river valleys. About 60-90% of people living in the vicinity of these places are exposed to the Histoplasma fungus at least once during their lifetime and more than 80% young adults in these areas have been previously infected with the fungus. If upon screening asbestos fibers are found in your lungs along with the histoplasmosis diagnosis, contact us as you might be eligible for compensation. Patients suffering from long-term lung diseases such as bronchiectasis and emphysema are at high risk of developing a severe form of histoplasmosis. Most patients infected with Histoplasma fungi never show any signs or symptoms as their body defends the disease. However, when symptoms do occur, people commonly experience shortness of breath, chest pain, fever with chills, dry cough, muscle aches, fatigue, and weight loss. Individuals with an underlying lung disease such as emphysema when exposed to Histoplasma fungi may develop a chronic progressive form of histoplasmosis, the symptoms of which resemble that of tuberculosis. Generally, the most common symptoms of respiratory disorders such as a cough and difficulty breathing tend to get overlooked or sometimes misdiagnosed. This leads to a delay in receiving appropriate care and unnecessary treatment as well as its side effects all along. Misdiagnosis is quite common among victims of asbestos exposure as the symptoms of most asbestos-related lung diseases closely resemble those of other more common lung diseases. For this reason, people with a previous asbestos exposure should undergo regular health screening to help timely detection of diseases. Asbestos-related lung diseases such as pleural mesothelioma, lung cancer, and asbestosis are likely to be wrongly diagnosed as histoplasmosis because of the common symptoms and its association with certain class of workers, for instance, workers involved in construction, demolition, and renovation of buildings are at risk of developing both asbestos-related diseases and Histoplasma fungal infection. Histoplasmosis could mimic tuberculosis when the infection is severe and as a result, differentiating between histoplasmosis and asbestos-related lung disease can be difficult even for the experts. The most reliable and effective tests to detect asbestos-related lung diseases include spirometry, chest X-rays, computed tomography (CT scans), and blood tests to measure oxygen levels. However, a second opinion from a specialist in asbestos-related diseases is vital for your favorable prognosis. The severity of the disease you are suffering from is taken into account while deciding upon the financial compensation. This is why added to the histoplasmosis diagnosis damaged, scarred lungs and fibers embedded in your lungs make you eligible for financial compensation. Asbestos diseases entitle veterans to compensation benefits only if the majority of the asbestos exposure occurred during active duty. Only a few of these diseases will bring in a 100% disability coverage (like pleural and peritoneal mesothelioma), and all of them require documentation and proof that they were caused by asbestos exposure and not other causes. Most victims of asbestos exposure would not have sought legal assistance once they have been diagnosed with an occupational disorder when they were alive because of the unawareness or the fear of going through a cumbersome process to receive their compensation. In the case of histoplasmosis, patients may not usually file a claim because they are unaware that it could be a misdiagnosis. However, you can file a wrongful death claim within the statute of limitation period, which is 1-3 years and depends on the state you belong to. Therefore, it becomes necessary to approach an asbestos attorney as early as possible. Our attorneys at Environmental Litigation Group, P.C., are well-versed in handling asbestos litigations and we have represented around 230,000 asbestos victims and are eager to help people in need of legal assistance for their asbestos-related claim. You will be eligible to receive money from the asbestos trust fund that was set up by the employer if in addition to histoplasmosis asbestos fibers were found in the lungs of your family member. 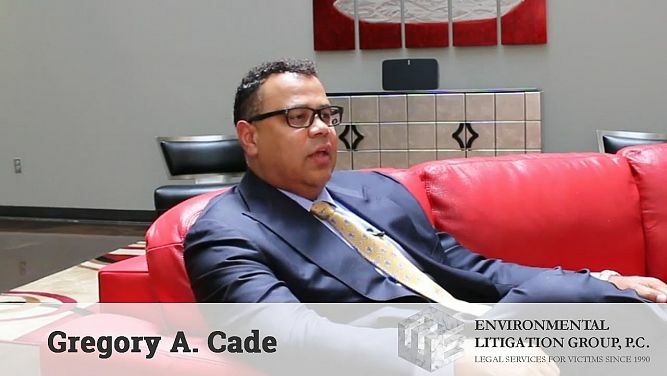 This page was last updated on April 10th, 2019 PST by Gary Anderson at Environmental Litigation Group, P.C.